Whether you're treating a partner, a family member, a friend or yourself, Valentine's Day is about enjoying the finer things in life. 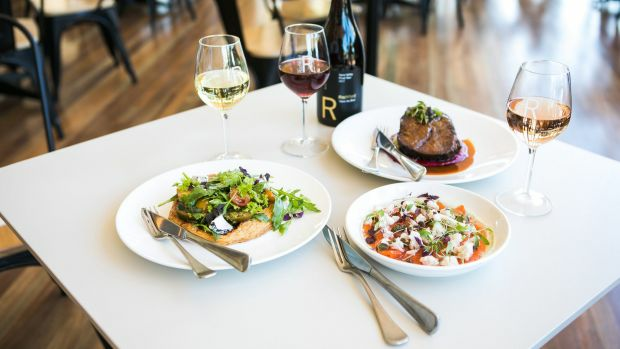 From good food to good booze, Melbourne is full of experiences that will help your special someone feel the love on February 14th. Give more this Valentine's Day by participating in A Table To End Hunger. Launched by The Hunger Project, the initiative is an auction of sorts, where you can bid for an array of Valentine's dates with money made going towards ending world hunger. 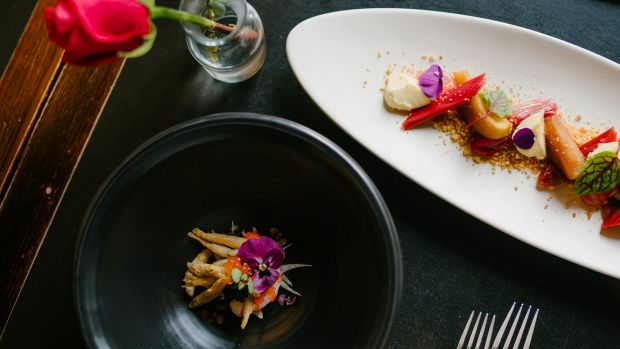 More than 130 restaurants throughout Australia as well as Balia, Hawaii and England are offering Valentine's experiences this year. Spice things up this Valentine's Day with a five-course Indian feast at Atta ($85 per head). Start with prosecco and choose from dishes like Tandoori Paneer and Murgh Makhani. What romantic dinner-date would be complete without a sweet-ending? Two limited edition desserts will be served: Blueberry Kulfi and Saffron Sheer Khurma. Put the mystery back into your relationship with dinner in the dark. Dans le Noir's head chef, Dinesh Munirathinam, has designed three surprise menus which will keep your stomach guessing as well. The menus, 'Feed Me Chef', 'Fishermans Cove', and 'Vegan' can be paired with surprise wine matching option as well as surprise cocktails and mocktails for an all-round sensory experience. Let that someone special know much they mean to you with dinner at Heston's. Make sure you have enough room to enjoy five courses ($200 per head with a glass of champagne, of course). Keep things sweet from start to finish: begin the night with a sparkling Sandalwood Kir cocktail with raspberry, and end with a Cherry Ripe dessert. If you're planning a low-key picnic but want high-key ingredients, Grampians has something for you. Their picnic gift set ($40), Dukkah Hamper ($35) and Honey Hamper Gift Pack ($70) are full of oils, vinegars, olives and seasoning which will take your humble little picnic up a notch. If you're looking to really spoil your Valentine, surprise them with an olive oil skin pack ($35). With body butter and olive oil soaps it's a must-have for anyone who loves being pampered. Iona's boozy brunch will make sure you're not a loner this V-day. Think poached eggs, crispy pork belly, jalapenos, smashed avo and quince chutney paired perfectly with a Bloody Mary. If you're feeling extra cheeky choose the buttermilk pancakes topped with mascarpone and strawberries, paired with Frosé because, why not? You'll be left feeling bubbly on the inside and out. "Roses are a rip off, violets are too, so you might as well enjoy, Mr. M's dinner for two!" The team at Mr Miyagi's are confident they have a good thing going this Valentine's Day. 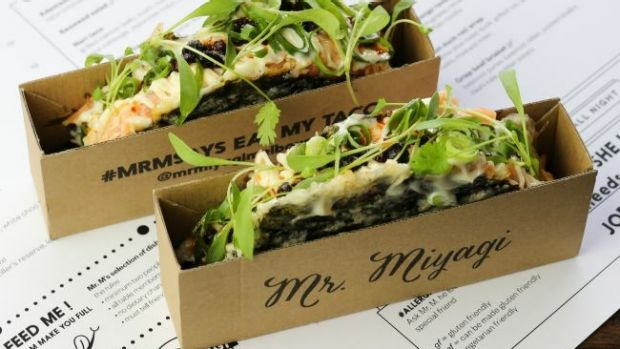 At $99 per person, their dinner for two is japanese with a Melburnian twist: Salmon nori tacos, fried chicken, himalayan salt slab cured kingfish, the list is mouthwatering. With bottomless bubbles, this is one V-Day date that you won't want to pass up. It's not just views that are swoon-worthy at high-in-the-sky Sofitel No. 35 - the food is just as spectacular. Choose from a 3-course degustation menu with Champagne on arrival ($159 per head, 5.30pm start) or a 4-course degustation menu with His or Her cocktails on arrival, designed by master mixologist Marc Dasan ($199 per head, 8.30pm start). Feeling fancy? Dine in Sofitel's award-winning club lounge. Dumplings and board games sound like a great date but Oriental Teahouse have cranked it up a notch. Their new Dumplings For Dating game ($60 per head) steers couples through a "getting to know you" style game full of questions set to juice things up a little. Answers will be shared over a selection of yum cha items and fun cocktails to help take some of the edge off. Make the ultimate declaration of love this Valentine's Day with Australia's most expensive dessert - with a side of pillow talk. 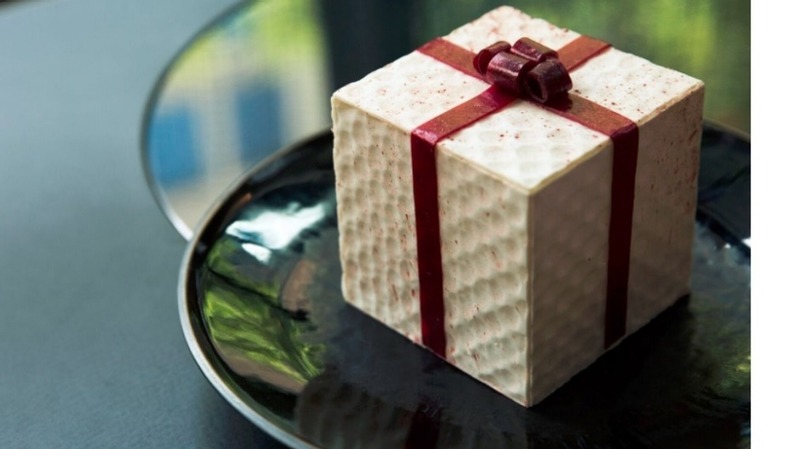 Executive chef Andy Harmer has created a white chocolate and raspberry 'gift': vanilla white chocolate mousse, raspberry jam, caramel coated popping candy with a toasted feuilletine base, glazed with raspberry white chocolate glaze in an edible white chocolate box. Along with the dessert, should you choose to order it, comes a room key. Ooh la la. 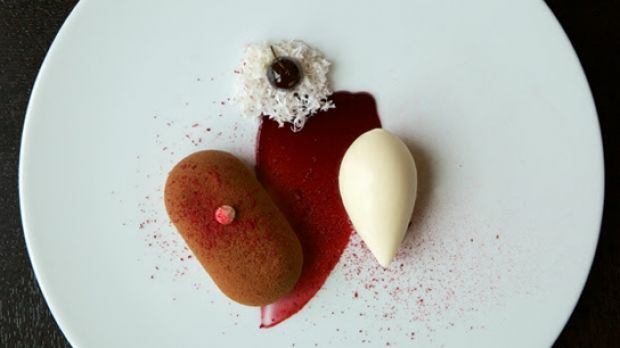 'Room for dessert' ($400) is available to order off the menu between 12-18 February. Fine wine? Tick. Step it up a notch and take your Valentine out to dine at Rochford's Valentin's Day Dinner ($90 per head). 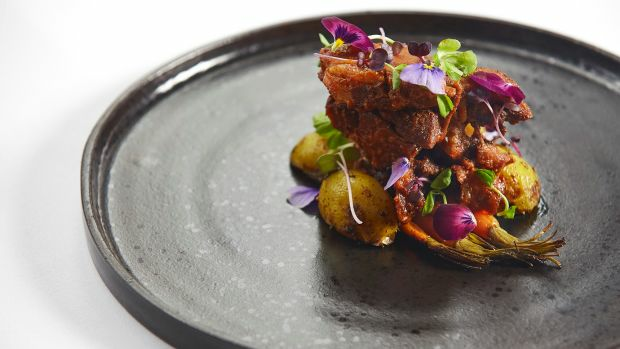 The set menu includes confit duck, pork belly, and zucchini flowers (and they're just the entrees). For mains enjoy smoked salmon or a 16-hour slow-cooked beef oyster blade, and top it all off with a bombe alaska. Decadent food, live music and a stunning view of the vineyards? If that doesn't make you feel the L.O.V.E nothing will. For some, there is no greater love in life than coffee. So why not integrate some liquid-gold into your Valentine's plans this year? St Ali's take-home 'Learn to Taste Coffee' ($199) is the perfect gift to woo your coffee-loving bae. The pack, which consists of four modules which explore how roasting, bean quality, processing and origin all influence the taste of coffee, is sure to sweeten even the most bitter palate. Start your evening with a glass of sparkling and a toast to each other. At $75 per person, this four-course dinner includes canapés on arrival and a variety of options for entree, main and dessert. After sharing the dessert board you might choose to make a night of it and book a staycation at one of the boutique suites upstairs. 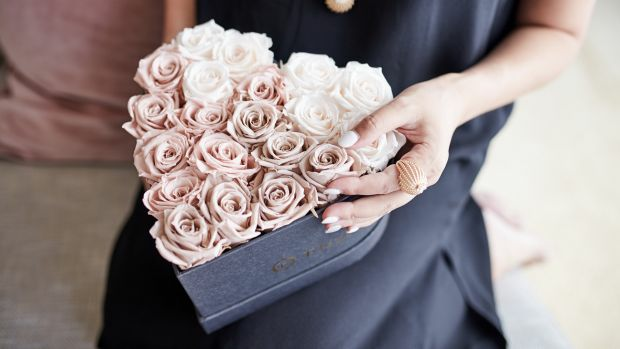 After all, the most romantic gestures are the spontaneous ones. Choose from a four ($150 per head) or six ($195 per head) course degustation featuring mouth-watering items like lobster mousseline, oyster sabayon, and stuffed lamb backstrap. You'll be greeted with a glass of Piper-Heidsieck champagne on arrival and treated to views of Albert Park Lake as you dine. A real treat.